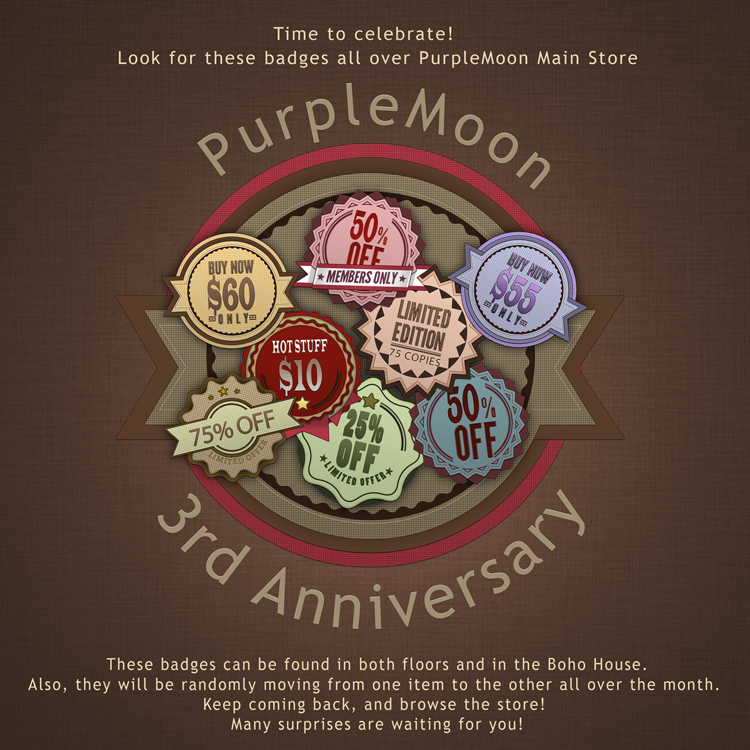 Anniversary Sale still running! | ! *PurpleMoon Creations* ! 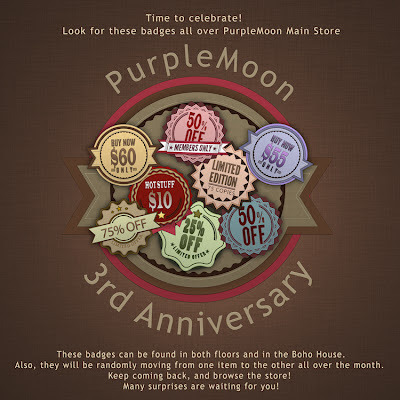 The badges had moved to even better deals than before! Browse the store and grab these goodies before they move again! And don't forget there are some in the Boho House as well! Hello, This anniversary sale sounds interesting yet by the time that I discovered your post it was already held. Any coming sales event? Thanks.